Bringing policy to life, Safe Stages provokes discussion across departments and encourages all staff to take responsibility for safeguarding. 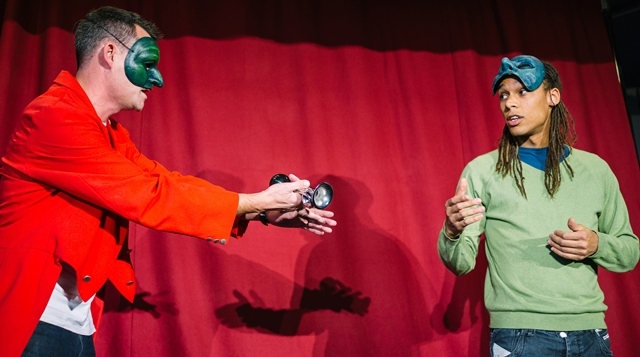 We were recently commissioned by Birmingham Hippodrome to devise a staff training performance exploring the reality of safeguarding, specifically within arts venues. Designed to provoke discussion and debate across the full staff team and encourage a greater understanding of policy in practice, Safe Stages challenges the audience to discuss what vulnerability is, to recognise indicators of vulnerability and abuse, identify barriers there might be to reporting and how the organisation can respond. An expert, engaging and ultimately moving exploration of a difficult subject. Really made the policy live...when can you come back?? Safe Stages is accessible, interactive and easily adapted to reflect individual organisations or particular safeguarding issues. The performance is available as a stand-alone 1.5 hour input to augment safeguarding training or as a full day training package, which will include presentations on theory and practice by a safeguarding expert.